You can get yourself a free BIC razor kit from ViewPoints. Just follow our link and supply them with your postal detail and they will deliver it right at your doorsteps. Click GET FREEBIE button and then fill up the form with your details to get yours. You can get yourself a free Art of Shaving kit from ViewPoints. Just follow our link and supply them with your postal detail and they will deliver it right at your doorsteps. Click GET FREEBIE button and then fill up the form with your details to get yours. You can get a free Dove Men+Care Foaming Body Wash. Follow our link, click Apply button and signup to receive this product for free. Click GET FREEBIE button to visit Ripple Street website now and enter for a chance to receive this product. Gillette is giving away free samples of their SkinGuard razors so make sure to grab one before they run out. Follow our link and supply them with your shipping details and they will send it to you. Click GET FREEBIE button and then submit your details to get a free razor. You can get yourself a free Gillette razor from ViewPoints. Just follow our link and supply them with your postal detail and they will deliver it right at your doorsteps. Click GET FREEBIE button and then fill up the form with your details to get yours. There are 1000 free grooming products being given away including the Kiehl’s shaving kits. Follow our link and fill up the form with your postal details to get these grooming products delivered to you. Click GET FREEBIE button and then enter the competition for a chance to get your hands on these goodies. Romeo Whispers is giving away free Mahogany Hardwood men’s boxers. Follow our link and supply them with your postal details and they will send these boxers right at your doorsteps. Click GET FREEBIE button and then order free sample of these boxers. BUMP & BLEMISH® helps you get rid of razor bumps and dark spots. Try out a free sample from their website. Fill up the form with your postal details to get it delivered to your totally free of cost. 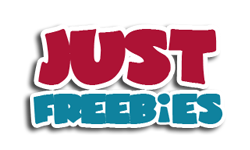 Click GET FREEBIE button to visit their official website and order your free sample right away. Depend is giving away free sample pack for men that includes 2 Depend Guard, 2 Depend Shields and a money off coupon. Hurry up and get yourself a free sample by supplying them with your postal details. Click GET FREEBIE button to visit Depend’s website and order these product samples today. You can get a free bottle of Degree men deodorant from Trybe. Register for a free account and then take a small survey and invite your friends to join too so that you can get this product for free. Click GET FREEBIE button and join Trybe today to get this product for free now. Schick is giving away free Hydro Razor blade refills on their website. If you want to get one, go over to their website right now and fill in the form with your postal details. Click GET FREEBIE button to visit Schick’s website right now and order yourself free Hydro Razor blade refills.